Fight Club and Falling Down both show the comedic rise and the explosively tragic fall of an anti-corporate anti-hero, each one following a journey through epiphany, rebellion, destruction and death. These two films show maturity in how they handle the controversial theme of modern corporate and consumerist culture, being careful to draw a line between non-conformity and freedom on the one hand, and anarchy and selfishness on the other. They demonstrate courage in turning a sympathetic hero into the bad guy. Two decades later, this pair of masterpieces can teach today’s filmmakers a thing or two about how to combine effective drama with a sophisticated message. 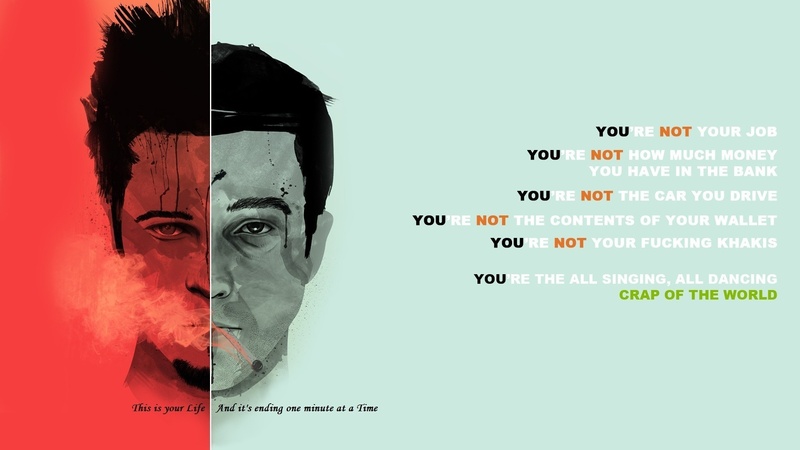 David Fincher‘s Fight Club introduces us to Tyler Durden (Brad Pitt). Tyler is easy to love. He looks good while looking like he doesn’t care how he looks. He is funny, quick witted and endlessly provocative. He shows the unnamed Narrator (Edward Norton) how he can break free from the confines of his career-ladder subsistence and Ikea lifestyle. He leads the Narrator on a midnight raid on a liposuction clinic’s medical waste, turning women’s fat into soap and selling it back to them for some irony-laden profit. The two of them start an underground fight club, providing themselves and other men a space where they can vent their rage at their dull, dreamless, neutralised existence. For the first half of Fight Club, Tyler appears to stand against the dehumanising corporate culture, meaningless consumerism, the crushing oppression of conformity and the loss of raw masculinity; he stands for personal freedom, experimentation, spontaneity, sensuality. Tyler is a character most of the audience will readily support, finding his message of liberation easy to swallow. 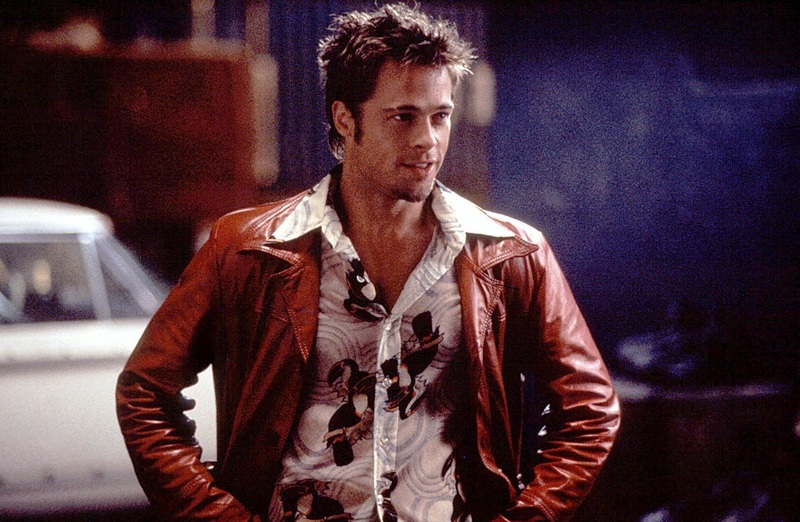 Tyler Durden: who doesn’t love a red leather jacket? But halfway through the film, something changes. Although I’m sure Tyler would hate the corporate phrase, he begins to suffer from “mission creep” and in doing so goes from plucky underdog to dangerous anti-hero, eventually becoming the bad guy. He turns the fight club into an anti-capitalist guerrilla organisation, committing vandalism on a wide scale across the USA. He rules his organisation like a despot, controlling their lives minutely yet willing to throw them away for his cause. His mission culminates in a plan to destroy the building of several large banks to reset the economy. Tyler shuns his friend the Narrator, locking him out of his plans, and ultimately turning on him violently. Most people in the audience will not sympathise with Tyler’s eventual direction. It’s one thing to encourage your friend to quit his job in style, or to enjoy the thrill of a secret punch-up between likeminded men, but it’s another thing entirely to exert a controlling influence on others or to orchestrate a campaign of grand destruction. 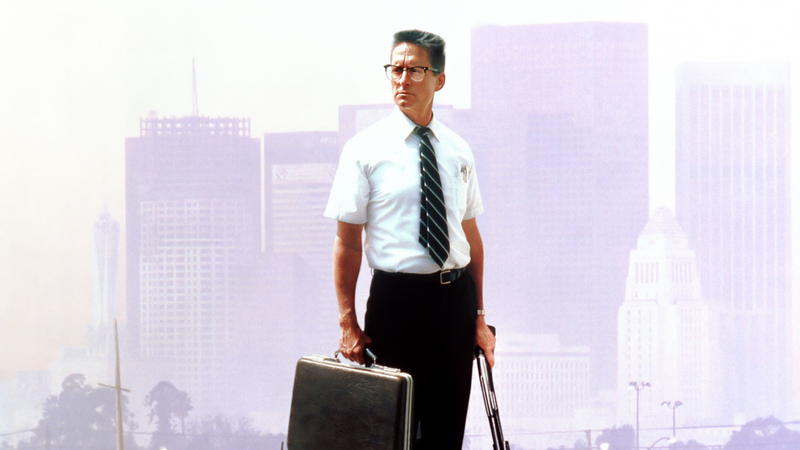 Joel Schumacher‘s Falling Down is eerily similar. The film introduces us to William Foster (Michael Douglas), a cog in the military industrial complex who loses his family and his job and won’t stand any longer to be humiliated and stifled by the expectations and conventions of life in safe, superficial corporate America. Unlike Tyler Durden, William is not particularly handsome or charming, but he has a dark wit and a cunning resourcefulness. He successfully clobbers some ghetto thugs and, no doubt raising a cheer from everyone in the audience, shows up a burger joint for how cynical and artificial their marketing, staff and food all are. He pulls the rug from under lying beggars and corrupt contractors alike. 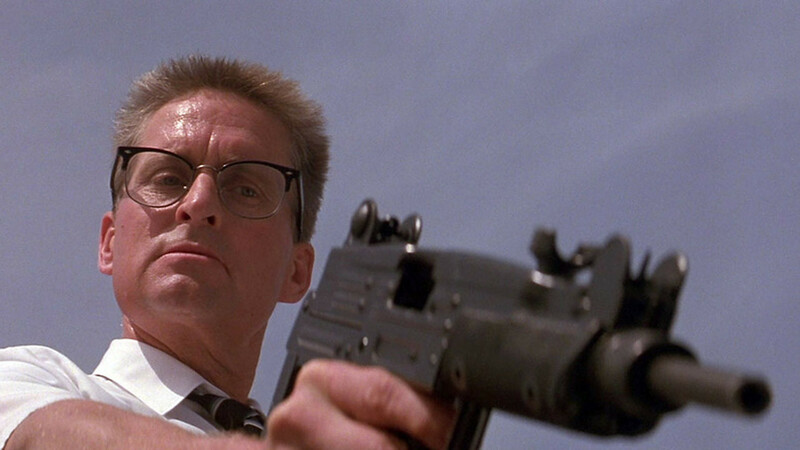 For the first half of Falling Down, William says everything we’ve always wanted to say to the a***holes of the world: the bullies, the bureaucrats, the cheats and the charlatans. He stands against a system that treats people as interchangeable parts, that puts on a friendly face while reaching to stab you in the back; he stands for humanity, honesty and traditional values. William is a character most of the audience will readily support, finding his message of integrity easy to swallow. But like in Fight Club, halfway through Falling Down our hero changes. He goes too far and becomes an anti-hero and even the bad guy. Military industrial complex getting you down? Try using a gun. When one confrontation gets a little too dicey, William kills a man. Loaded with weaponry, he goes on a rampage across the city, allowing another man to die, mocking him as he gasps his final breaths. At the last, William threatens to hurt his estranged wife and daughter. Tyler and William follow the path of hubris, nemesis and catharsis. It’s the A-B-C of good drama. Most audiences will find themselves gradually turned off by William’s streak of increasingly violent and sadistic behaviour. It’s one thing to enjoy the look on the face of a shamed fast food manager, and quite another to see the look of horror on a woman desperate to protect her daughter from a murderer. It doesn’t end well for either Tyler Durden or William Foster. Both characters had an epiphany about how to live, they rebelled against numbing social convention, but they passed a line in the sand and became destructive criminals, taking a path that would lead them to their deaths. In classical dramatic style (and I mean classical – going back to the masters of drama, the ancient Greeks), Tyler and William follow the path of hubris, nemesis and catharsis. These men who started well became twisted by pride, were confronted by a stronger opposing personality, and were released by death. It’s the A-B-C of good drama. If the aim is good drama, the key is in the ups and downs. A straight line isn’t drama, it’s a quarterly report. But Tyler and William also represent a high point for sophisticated messaging in modern cinema. Fight Club and Falling Down both turn a critical eye on American capitalism and corporate culture, a theme which can easily turn a film into an unthinking, unbalanced mess. But by taking these characters beyond their liberating rise to their destructive fall, these films show that they understand there is a line beyond which the forces of liberation and individuality become destructive and selfish, and moreover that they understand where that line might be. 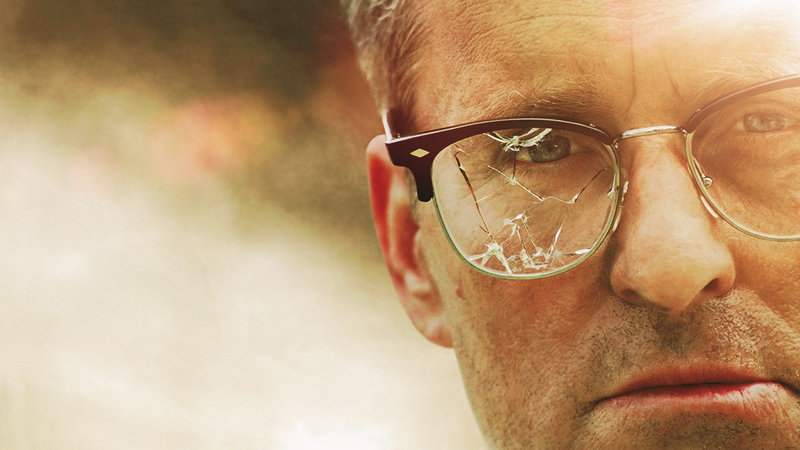 Filmmakers can learn from Fight Club and Falling Down. If the aim is good drama (and if it isn’t, why bother? ), the key is in the ups and downs. A straight line isn’t drama, it’s a quarterly report. Similarly, if the aim is to provide commentary on controversial social issues, the key is in the balance. A one-sided message is childish and a message without limits is dogmatic. Fight Club and Falling Down are both superb films, dramatically and thematically. Many people have watched them, but I wonder if they have learnt from them. See the right hand sidebar for buttons to follow Cultrbox on Twitter or WordPress. All new articles are posted on Twitter, and if you have a WordPress account you can get email notifications of new articles on blogs that you follow. I’ve clarified the follow options in the right hand sidebar. It should now be more obvious how to follow the cultrbox blog. Thanks for your feedback.